How to improve ADSL speed problems in Ntc? Before any mobile internet or Fiber internet was there, ADSL is the only source of internet for many of us in Nepal. Now also, there are lots of people who use Ntc ADSL for home internet. People have complained a lot about the ADSL service for being slow and disconnection frequently. There may be some issues with the Ntc ADSL ports or the copper wire from the Ntc exchange to your home. For that, you can do a very little thing in the network side except for complaining to the operator. You should be careful if the distance from the exchange to your home is within 4 or 5 km for better result. Also during installation, make sure you put a single cable (instead of two or three pieces joined) from the pole to your home. In this post, we are providing the ways to improve the ADSL speed in Ntc, that you can do yourself in your home. Connect the ADSL Filter / Splitter in the right way. As the same copper wire provides you telephone and internet, you always need to put the ADSL splitter to separate the two. One will connect to the telephone set and another one to the ADSL modem. 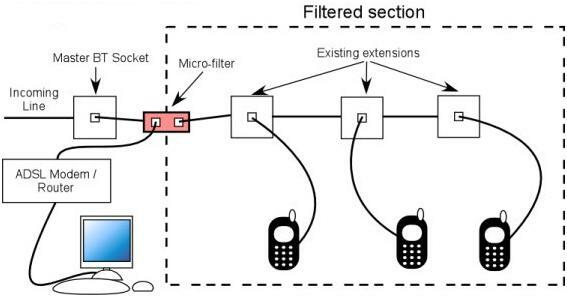 In case of multiple extension for your telephone line, you need to first connect the filter to the main line from outside and separate the phone, ADSL line. In order to have lower loss in the ADSL link, it is necessary to avoid multiple connections / joints. If you have found such connections, please try to make a single wire or line. Even if the connections are there, make it lesser, till one is ok. Make sure the connection is not left open, otherwise the loss will be higher, due to expose. Please cover the joint with black tapes to avoid losses. If you have internal wiring in your home for telephone and ADSL link, make sure the wires are not worn or torn. You can ask an electrician to replace the worn out wires. That may change your ADSL line speed. The ADSL line may be interfered by radio equipment in your home. Try to put such devices like Microwave oven and other electronic/ electrical equipment in some distance to the ADSL line or modem. This also can have some positive impact in the ADSL speed. Connection from Splitter to ADSL modem. Do make sure the connection from the Splitter is not that long. If there are problems in your ADSL link, do make it to short distance. Also if it is a very thin cable, try to replace it with a cat 5 wire, that is available in the market. Also read: New method to know ADSL Volume and expiry date. If you have WiFi with ADSL connection and shared, it is possible that multiple devices are connected to the link and your speed is slow. What we say is try to avoid sharing the ADSL link. To avoid multiple device connection, you can check the no of devices connected in your phone through Fing app. If yes, then change your phone password, make it a strong with WPA 2 security. It may be possible that your modem is not performing well. You can check its performance in another ADSL link at Ntc office or your friends place. For this, you need to configure the ADSL modem for your login. If you have found some issue with your old modem, try replacing but make sure if it is only due to the modem. 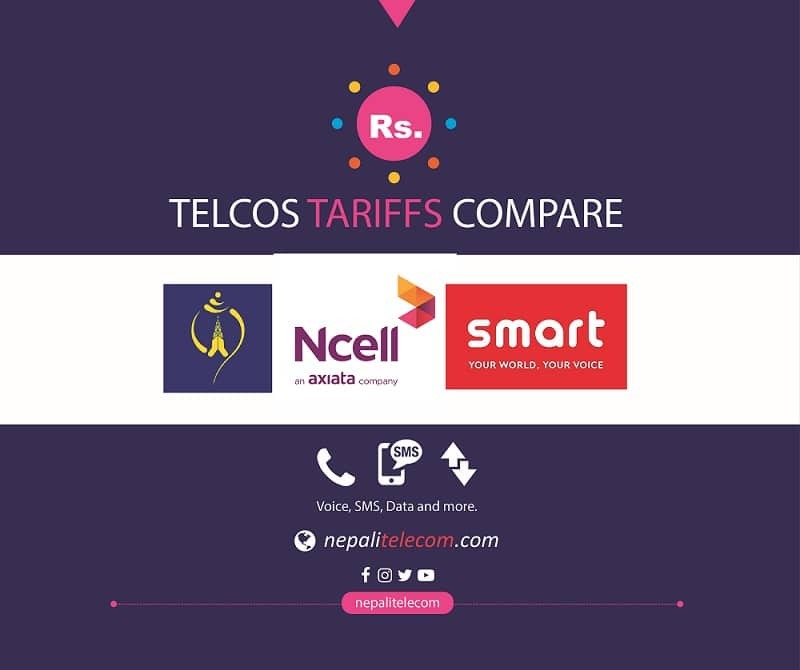 If you have checked all of the above, and still find the blinking of DSL led in your modem time and again, then you need to contact Ntc. Either Complain from 198 IVR. or visit the Ntc exchange with your complain. If you have some other problems, do let us know. We or some other people can help you solve your Ntc ADSL problems.